The specific rate of the excise duty on cigarettes in Ukraine grew by 40% from January 1, 2016, to UAH 318.26 per 1,000 cigarettes without a rise in the ad valorem rate, the excise duty on beer doubled, to UAH 2.48 per liter, and the excise duties on alcohol will grow by 50% from March 1, 2016, to 105.80 per liter of 100% ABV. 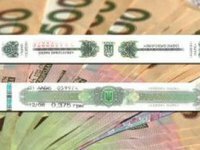 The amendments outlined in the law on amending the Tax Code and some Ukrainian laws on the provision of the balance of budget revenue in 2016 were published in the Holos Ukrainy newspaper on Tuesday. The excise duty on dry wine is retained at UAH 0.01 per liter, the excise duty on fortified wine and vermouths will be doubled from March 1, 2016, to UAH 7.16 per liter, the duty on sparkling wine will be doubled, to UAH 10.40 per liter and the duty on low-alcohol beverages will grow by 300%, to UAH 211.59 per liter. The minimum excise duty paid for cigarettes is increased to UAH 425.75 per 1,000 cigarettes.